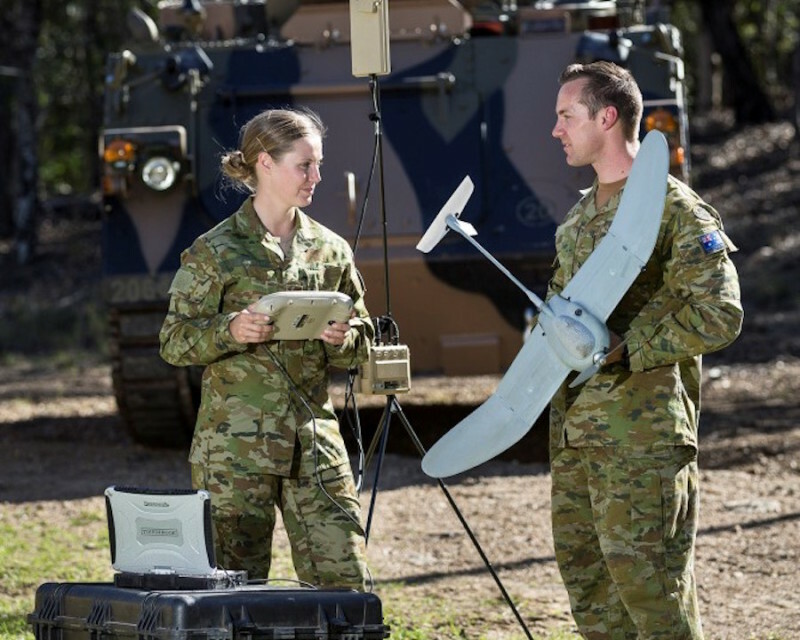 Soldiers from the Australian Army’s 2nd/14th Light Horse Regiment (Queensland Mounted Infantry) with a Wasp AE small unmanned aerial vehicle during trials in the fall of 2016. A new world-class surveillance and reconnaissance capability acquired by Defence will give our soldiers an edge on the front line. Minister for Defence, Senator the Hon Marise Payne, and Minister for Defence Industry, the Hon Christopher Pyne MP, today announced the $101 million investment into Small Unmanned Aerial Systems will directly create up to 10 new jobs in Canberra plus supporting dozens of jobs in the supply chain. Minister Payne said the systems were small enough to be carried, assembled and used by one person, and allowed the soldier to 'see over the hill, around the corner and down the road'. Minister Payne said the capability would be acquired in two tranches; with the WASP AE chosen as the preferred option for the first tranche to meet an immediate need. This funding is for the first tranche of the capability. Minister Pyne said the WASP AE will be modified with Australian content utilising other companies such as Sentient in Melbourne and Mediaware in Canberra and acquired through Canberra based company, XTEK. “It’s a proven capability used by militaries around the world, including with the US Marine Corps,” Minister Pyne said. "This will also provide opportunities for Australian industry," Minister Pyne said. "Defence will work closely with Australian industry through the Centre for Defence Industry Capability to maximise opportunities for local companies to get involved in this important project,” he said.